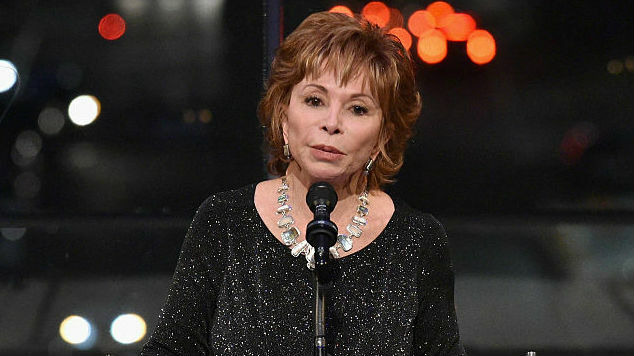 Hulu is in the developmental stages of adapting Isabel Allende’s The House of the Spirits into a series, per Deadline. The novel was Allende’s authorial debut, and was first published in Spanish in 1982 before being translated to English (as well as 34 other languages) in 1985. It quickly became a bestseller, though the novel has been both lauded and criticized for its parallels to Colombian author Gabriel García Márquez’s One Hundred Years of Solitude, published in 1967. Both novels are highly regarded examples of magical realism. Some consider The House of the Spirits to be a feminist ripoff of Marquez’s classic novel, while others see the work as a masterclass piece of literature written in a style that is uniquely Latin American (which Marquez coincidentally helped to develop). At 500 pages, The House of the Spirits tells the sprawling story of four generations of family, though the primary focus is on two women, Clara del Valle and Alba de Satigny. The novel is loosely based on events from Allende’s own life—Allende’s father was cousins with socialist Chilean president Salvador Allende, who would be overthrown in a military coup by Augusto Pinochet that bears striking similarities to an uprising in the unnamed country in the novel. The House of the Spirits was last adapted in 1994 in a film starring Meryl Streep, Jeremy Irons, Glenn Close, Winona Ryder and Antonio Banderas. Maybe it was casting a mostly white cast in a Latin-American drama, maybe it was the ambitious attempt to cram the entire novel into two hours, or maybe it was just early ‘90s filmmaking, but the adaptation is not remembered fondly. Allende (who made a guest appearance on Jane the Virgin this year, with a copy of The House of the Spirits in tow) has signed on to executive produce the Hulu adaptation. Neither a director nor a writer have been announced yet for the project. This adaptation follows a recent trend in Hulu’s bend toward adapting politicized literary works. In addition to The House of the Spirits, the streaming network has adapted the wildly popular/consistently horrifying The Handmaid’s Tale by Margaret Atwood, Ralph Ellison’s discussion of race in the American South in Invisible Man, Celeste Ng’s Midwest suburban drama Little Fires Everywhere starring Reese Witherspoon and Kerry Washington, and Stephen King’s Castle Rock. Check back for more news on The House of the Spirits as its development continues.